Elizabeth Truss has been giving interviews this morning about the plans to raise childcare ratios to reduce childcare costs. Also, at 11am today she will be giving to the Policy Exchange Think Tank outlining her plans to reform childcare rules. Catch up on some of today’s news with us here. 2.00 pm Elizabeth Truss, the education minister, has dismissed claims that it is unrealistic to expect nursery staff to look after more children. “My ministerial colleagues at the Department of Health don’t get asked if they would be willing to perform keyhole surgery,” she said in a speech confirming plans to relax the adult/child ratios required for nurseries and childminders. Truss said that the nurseries would only be allowed to relax ratios if they hired highly-qualified staff, and she said that her plans were intended to increase the quality of childcare and lower its cost. But, although some aspects of her proposals were welcomed, childcare organisations were mostly critical of the plan to relax adult/child ratios. ‘The UK’s childcare system has for too long been unaffordable, inflexible and a barrier into work for parents. The measures being brought forward by the government have the potential to help parents of young children who want to work into employment. It is crucial that quality is never compromised and we believe these proposed changes can raise entry-level requirements, simplify qualifications and ensure the profession commands greater respect’. 11.59 am The shadow home secretary and shadow minister for women, Yvette Cooper, has joined the debate about childcare ratios. Come back to this article or follow us on twitter @theparentagroup, to get the latest updates, and share with us your thoughts on these rule changes. Parents have asked the Pre-school Learning Alliance to start a petition against ratio changes on the Government’s official e-petition website. We have done so and set up a link so that clicking on http://www.rewindonratios.com will take you straight to the petition. We need 10,000 signatures to get a Government response and 100,000 may see the petition debated in the House of Commons. This issue is bigger than any organisation as it will affect thousands – if not millions – of children and the quality of care provided by childcare settings and practitioners. If you support the petition, please go online and sign it then spread the word to your friends, families and colleagues. What we need to do is to unite and descend on London en mass to make our protest known. The Government have another agenda of course – especially when they bring in two year old funding for all! 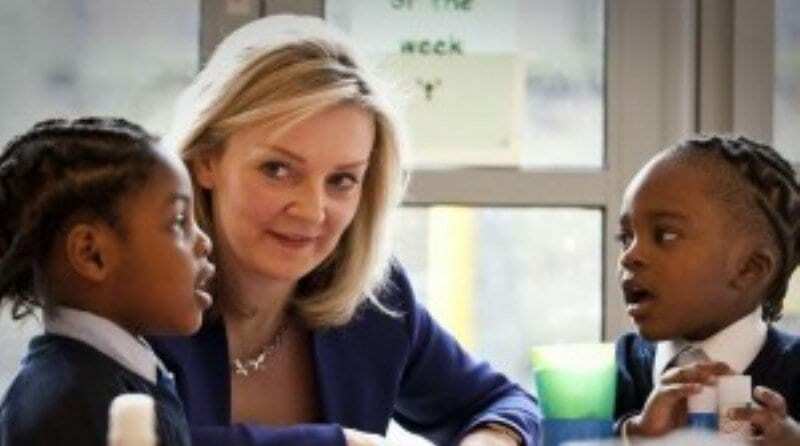 I would like to see Liz Truss MP in a room with 6 two year olds for a while and see if she still thinks it is a good idea to have them in schools! I think I might just invite Liz Truss MP to my setting and see if she can evacuate 4 babies on her own, all at the same time, during a Fire Drill! I find the whole idea utterly ridiculous. Hi, All this madness is taking its toll on my staff team and myself. I have 2 nurseries and am closing one at Easter. We are expected to do 2 year old development checks (previously undertaken by health visitors), we are not qualified to do this job. Staff are refusing and leaving employment as a result of this and other madness proposals that the government wants. This new ratio will infringe on the health and safety of the children and staff. It is not practical for a staff ratio of: 1-4 under 2’s. for example, you have one staff who is small framed caring for 4 big or overweight babies from 8-13 months, there is a fire, who does she save? She cannot carry two ‘BIG’ babies by herself let alone 4! This means 3 babies will die. What do we tell these children’s parents!!!!! I am seriously thinking of closing the second nursery and retire and get some peace and stability into my life. I really want to live to see grandchildren. At this rate if I stay into childcare I will be totally burnt out with no energy left to support my own children as a grandma. We have been trying to work out how this plan will be put into place – Are we expected to make staff redundant and then inform the parents that we have reduced our fees ? No, that won’t happen – but what will happen is that some Day Nurseries will not recruit new staff to replace any that leave and the parental fees will stay the same -now who’s money is that saving ? I agree completely with what has been said by other contributors: It is not possible to give quality care and education to the number of children proposed: how can one person give individual attention to so many toddlers! Is there no way of stopping these proposals becoming the rule!!! I am still unsure how all this makes it cheaper for parents. I am a childminder and I’m not going to look after 4 children for the price of 3! Surely in nurseries and pre-schools it is more likely to lead to a reduction of staff rather than more children due to space restrictions. I work in a pre-school that is OFSTED rated outstanding in all areas, since the government have brought in 2 year old funding it has totally changed the job. Now, instead of doing the job we have trained hard to do, and teaching our 3 and 4 year olds, we are now running around picking up after babies, changing nappies or changing wet or soiled clothes, and scrubbing soiled floors. That’s not what I spent months and months training to do, and I still spend many hours keeping my training up-to-date. If the government now bring in this even more ridiculous scheme then it will undoubtably affect the safety of our children, it will compromise our outstanding status and it will definitely affect the already pushed staff. If one of my own children wanted to go into childcare as a profession i would put them off immediately. The rate of pay, the growing pressures and the ever-growing paperwork just doesn’t seem worth it anymore. Its a crying shame. I totally agree with you all, and the bottom line is surely the safety issue. It doesn’t matter how highly qualified you are, it is physically impossible to care for six 2 years olds meet their individual needs and stop them having an accident which will be highly probable with such a poor ratio. Why do we want to change things as a mere cost cutting exercise? I agree with increasing qualifications and raising the professionalism of the early years and childcare sector but this should not be at the expense of adult to child ratios. Plus leaving the quality of childcare judgements soley to Ofsted has always been a flawed system. I have worked with local authorities in implementing their own RAG ratings and practioners prefer it as they know it is based on real knowledge of how a setting operates. The government should have allowed nurseries to reclaim the VAT which they have to pay on practically everything. This would have put back into each nursery budget a significant amount relative to its size and outgoings. This money could have been used for staff wages and to otherwise improve quality. There would be no need to compromise the quality of care by reducing ratios. I agree Liz, then private nurseries would be on a level playing field with Local Authority operated nurseries who are able to claim back the VAT on everything. I have just had lunch at nursery with about 6 nursery nurse colleagues, amongst us were two with degrees,(one EYP and QTS) one level 4, another studying level 4 and one level 3. This announcement was not welcomed. There was a concern that people working with children, some of whom are difficult, in the proposed ratios would be more likely to be sick and suffer stress. We do not currently expect our EYPs and QTS staff to work with any more children than our other staff. Over lunch people thought that those asked to do that might simply leave the field. As parents now use fewer and fewer paid for hours, the number of children making up a place increases. It is now over 2 children for every full time place in our nurseries. This means that a group operating 16 full time places might have up to 40 children attending through the week. The pressure on key persons is enormous. It is not just the number in the room on the day that is difficult, it is the numbers overall which cause workload. I feel the changing of the ratios is a retrograde step and potentially could compromise children’s safety. No matter how qualified the staff are, it still takes one person out of the room to change a nappy – thus leaving the other person to meet the needs of possibly 11 other 2 year olds. Similarly, in the event of a fire, evacuating a building with 4 under 2’s who aren’t walking would be virtually impossible – it’s hard enough with 3 babies. I have QTS and EYPS, but when being trained, I didn’t gain an extra pair of hands to help comfort another set of children, nor did I gain another pair of ears to listen to more children at the same time! Each child needs to know that someone is there for them, to listen to them, to join in sustained shared thinking, to encourage, support and care for them. Children need to be able to make strong relationships with their key person, and with fewer staff, this bonding becomes more stretched. Here, here…. well said – I have been saying for years just the same … it is about time govenment actually LISTENED to the ground routes staff – also QTS & EYPS does not an excellent setting make … experience, good practice and a darned lot of hard work … we are only level 3 trained and yet provide well sought after excellent quality care! I couldn’t agree more with Jane. I am also the owner of a day nursery and I would not contemplate reducing our staff ratios as I firmly believe that the existing ratios are hard enough on my staff. We have always provided a very high quality service to our parents and children and I have no intention of lowering our standards. I already calculated the actual reduction in fees were I to dispense with one member of staff within a 58 place nursery. It worked out at around £5 per week per child! I don’t believe that anyone would consider this a real reduction. Parents entrust the most precious thing in their lives to us – their child. Should we really consider compromising this trust? Lol! You’re absolutely right jennie, although I’m sure she isn’t looking too calm today! I am both a mother and the owner of two day nurseries and holding many qualifications I still believe these proposals will lower the quality of care and education. They will not decrease costs for families with the restraints of employment law, settings will not simply be able to reduce their staff quota and will therefore still be forced to charge the same costs to remain sustainable, in fact the increased costs of employing graduates has impacted on childcare costs in recent years. There is staff morale and job satisfaction to consider too, most adults who embark on a career in early years do it because they enjoy being involved in nurturing and educating young children. To put the extra pressure on adults by lowering ratios means that their abilities to maintain safety for children and ensure they are offered exceptional support in their learning to the highest standards will likely become ‘just adequate’. Team members who are academically unable to meet the qualification requirements but are excellent practitioners could become devalued in their wealth of experience as part of our wider society role models. With regard to qualifications, I firmly believe that rising qualifications do raise standards and it is important to professionalize the early years industry by raising the standards of education for leaders, practitioners and assistants but to think that graduates, EYPS leaders or qualified teachers are more equipped to offer high quality care and education to increased numbers of children is naïve. The government should be putting funds toward further training and the long term sustainability of these graduates in early years settings. In my experience funds for training over the last few years have been diminishing. Have government ministers ever tried to help five toddlers put their wellies, waterproofs, coats, gloves and hats on whilst comforting them in their distress of the hustle and bustle of the situation all at the same time? Then to get outside for some ‘quality outdoor exploration’ whilst ensuring the team are making valuable interactions and worthwhile contributions in children’s learning to find that two of the five children need their nappies changing and one needs to sleep?! What about their basic nurturing needs? Young children need to feel comfortable and secure in order to experience the most from the learning opportunities that settings provide and this means they need to be nurtured by caring adults that they have had the time and opportunity to bond with, qualifications increase knowledge and should be valued as such not as a replacement for care. I believe that raising quality by higher qualification in addition to maintaining sensible ratios will be what sets the UK apart from other nations. As the owner of a large nursery in a town in the midlands that local government is gradually reducing to a shadow of its former self, i whole heartily agree with the above and feel that parents are given messages in the media that we have no hope of being able to carry through and remain in business. And we keep having to give parents the message that we are unable to do it, we always look like the bad cop. Having run a nursery school for 20years I have to agree with everything Caroline says. High Quality staff is essential but not a substitute for time to interact and care for individual children. I would like to see Liz Truss juggle the personal care and education needs of 6 two year olds. The suggestion that increasing ratios will reduce childcare costs significantly is ridiculous when many nurseries are struggling with budgets and higher qualifications need to be rewarded by higher pay. This is just another attempt by the government to look good and gain votes and then I am sure they will blame us when childcare costs do not come down!